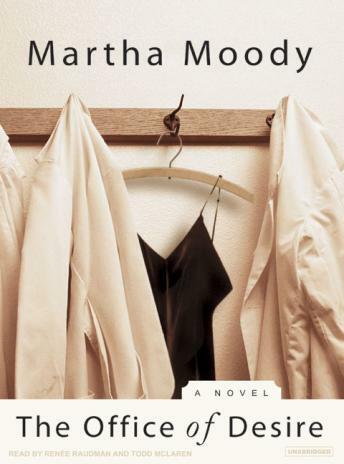 From the author of the runaway bestselling novel Best Friends comes a smart, touching novel about the intimate yet fragile relationships among five very different people, thrown together in a small medical office, and how each life affects the others. Alicia, Brice, and Caroline are the ABCs-three close friends who have been brought together while working at the cozy medical practice of Drs. Markowitz and Strub in Midburg, Ohio. But when Alicia and Dr. Strub begin an affair, a dramatic chain of events ensues that gradually but drastically alters the office environment-ultimately requiring all five coworkers to redefine their relationships to one another. As Dr. Strub's romantic life is thrown into turmoil, Dr. Markowitz is faced with the dire illness of his own wife and the secret life she has kept from him. Nurse Alicia withdraws to focus on her prodigy son; receptionist Caroline enters into a strange romance she previously would have dismissed; and office manager Brice, his once-ordered world disintegrating, is set dangerously adrift. Finally, a questionable business venture that evolves into financial scandal precipitates a monstrous tragedy that threatens to destroy everyone involved. Warm, moving, and witty, The Office of Desire offers an insightful look at human nature that will appeal to those who loved Moody's previous novel and anyone else who has worked in an office.